Syllabus for SEBI Officer Grade A 2018. The SEBI Recruitment 2018 notification is recently out. This recruitment drive by Securities and Exchange Board of India (SEBI) is for the post of Officer Grade A (Assistant Manager) and a total of 120 vacancies in streams like General, Legal, IT and Engineering (Civil and Electrical) is announced. Planning to attempt SEBI Officer Exam 2018? 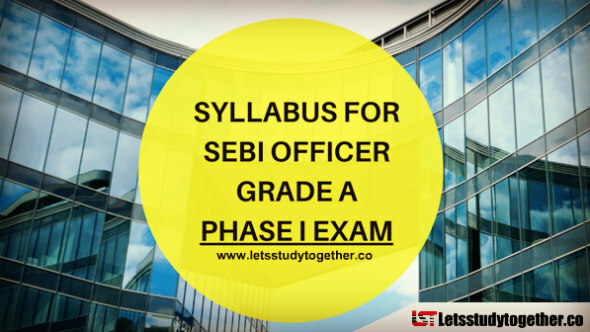 Here’s the detailed syllabus for SEBI Grade A to get started with your preparation. This post is brought to you by Oliveboard. Hope this helps. Start your preparation with a Free SEBI 2018 Mock Test. All the Best!